By example MariFlex was called to assist and immediately we came into action. 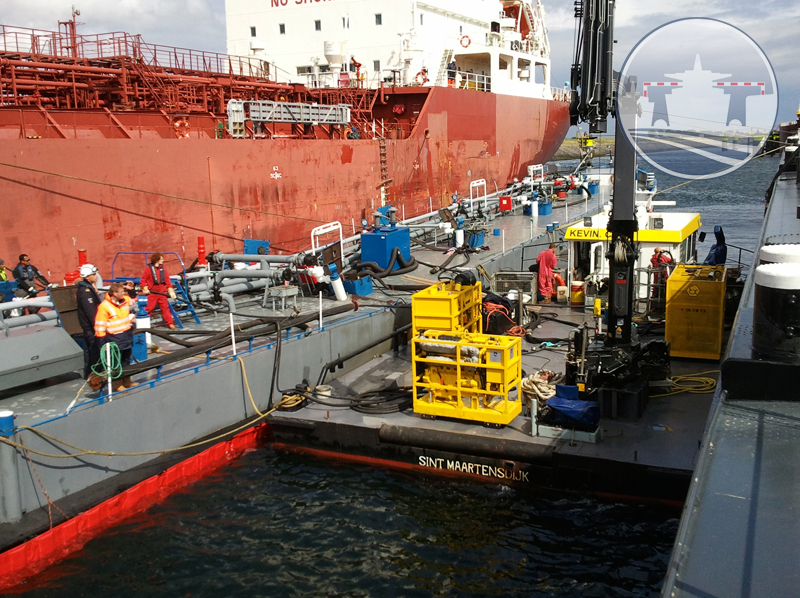 We mobilized 6 complete pump sets and placed them on our own Multicat vessel the Kevin C, which set off for the Caland canal immediately when all our gear and specialist were on board. Salvage operation on the Caland canal when an inland tankbarge collapsed while receiving slops from M/T Marida Mimosa. Due to quick response of the harbor authorities, who arranged an oil boom quickly, avoided to have large quantities of oil in the water. This fast response made it possible we could transfer the cargo (gasoline, luboil en bunker fuel oil) on time into another tanker (MT Atlantic Partner) that came alongside our Multicat “Kevin C”. The Kevin C was situated between the two vessels, this way we did not had to place the pump equipment on board the MT Vitalis. This would have made the vessel even more instable with the danger of breaking. After 3 hours of pumping, we emptied tanks nr. 3, 4 and 5. The vessel still had cargo in tanks no. 2 and 6, but was at that time stable enough to be shifted to Moerdijk by tugs. This type of operation MariFlex has done numerous times everywhere and anywhere, finally we could show our specialties close to home as well.